Erected by Wyoming State Historical Society. Location. 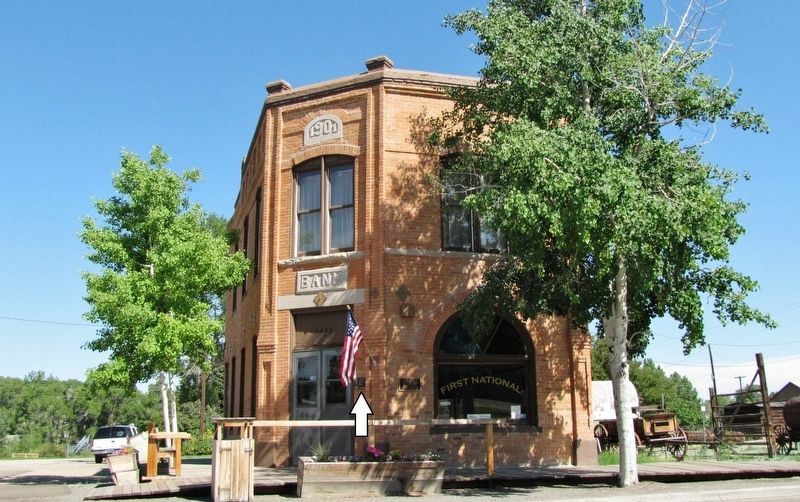 44° 9.419′ N, 108° 52.343′ W. Marker is in Meeteetse, Wyoming, in Park County. Marker is at the intersection of Park Avenue (Wyoming Route 290) and Warren Street, on the right when traveling south on Park Avenue. Touch for map. Marker is mounted at eye-level, directly on the southwest corner of the subject building, just to the right of the entrance. Marker is at or near this postal address: 1033 Park Avenue, Meeteetse WY 82433, United States of America. Touch for directions. Other nearby markers. At least 4 other markers are within 15 miles of this marker, measured as the crow flies. Arland (approx. 2.3 miles away); Site of Halfway House Stage Stop (approx. 11.4 miles away); The Building of an Industry (approx. 14.1 miles away); The Prairie Rattlesnake (approx. 14.1 miles away). building is now is use as an historical museum. More. 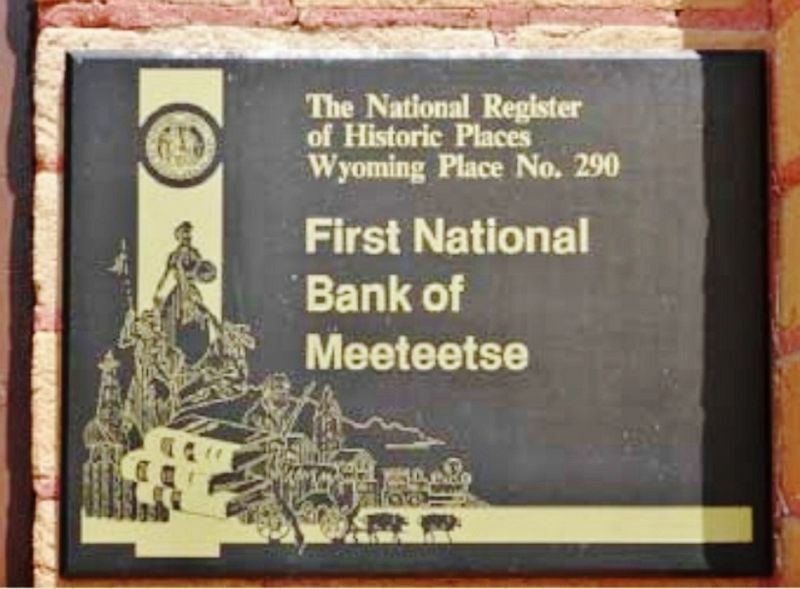 Search the internet for First National Bank of Meeteetse. Credits. This page was last revised on March 27, 2019. This page originally submitted on March 27, 2019, by Cosmos Mariner of Cape Canaveral, Florida. This page has been viewed 40 times since then. Photos: 1, 2. submitted on March 27, 2019, by Cosmos Mariner of Cape Canaveral, Florida.